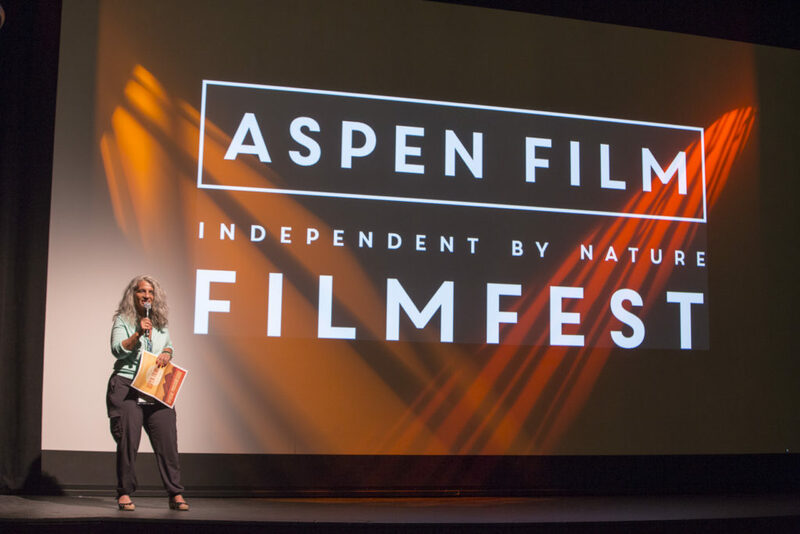 The Aspen Film Festival is a big supporter of independent and short films. It is committed to showcasing original content and world-class cinema releases. In 2018, the Aspen Film Festival will once again bring you the best independent films from all over the world. Launched in 1979, Aspen Film is one of the most active film arts organizations in Colorado, USA. It presents programs and hosts guest artists throughout the year. Founded by Ellen Kohner Hunt, Aspen Film is committed to enlighten, enrich, educate and entertain through the medium of film. Its programs, workshops, and festival aim to stimulate ideas, encourage discussion and broaden understanding of our world through showing a diverse spectrum of films from around the globe. Now recognized internationally as a major film event on the annual film festival calendar, the Aspen Film Festival is the highlight of its seasonal programming. This program features an extensive education segment that includes the Aspen Filmfest, Academy Screenings, Aspen Shortsfest and Film Educates. Aspen Film hosts many special presentations that each year are attended by more than 30,000 people. More than 200 films are now shown annually at the Aspen Film Festival, including many regional premieres by local filmmakers. This does a great service to the regional filmmaking community who might not otherwise be able to showcase their work. This demonstrates just how committed the festival is to aspiring filmmakers and original content. The Aspen Film Festival also offers development opportunities through its educational outreach program. They appeal to youths and adults by offering almost 90 specialist programs completely free of charge. They host more than 100 film artists and other industry guests each year to allow local filmmakers the chance to tap their knowledge. They have also set up a collaboration with local and national organizations to provide quality film programs to a wider audience. The Aspen Shortsfest is part of the festival’s extensive program relating to short films. The majority of the films showcased at the festival are premieres and are competing in numerous categories to win awards. Each year a jury of film professionals selects a winner from all the nominees and awards the winner with cash prizes. Some winners also gain the chance to be put forward as nominees for the Oscars a few months later. In 2016, the Aspen Shortsfest Jury comprised of critic/programmer David Ansen, critic/writer Lisa Kennedy, and producer Danielle Renfrew Behrens. The Youth Jury were students from Aspen High School and Aspen Middle School and were given the task of selecting the best film from the program. Aspen Shortsfest is a well-respected showcase for short comedy, drama, documentary and animation films. They are proud of their reputation for being a place to discover world-class talents. Damien Chazelle (Whiplash), Jason Reitman (Up in the Air), Jean-Marc Vallée (Dallas Buyers Club) and Sarah Polley (Stories We Tell) are among the now famous film directors whose earliest short films were screened at Aspen Shortsfest. Many of the Aspen Film Festival’s official selections at the Shortsfest have gone on to Oscar success. Last year’s Bear Story (Shortsfest, 2015) won the Academy Award for Best Animated Short Film, and We Can’t Live Without Cosmos (Shortsfest 2015) and Shok (Shortsfest 2015) were nominated. Last year the film “Irregulars” directed by Fabio Palmieri from Italy received the Ellen Award with a cash prize worth $2,500. This award is named after the Aspen Film’s Festival’s founder and former executive director, Ellen Kohner Hunt. It aims to annually award the one film that embodies the spirit of Aspen Film Festival’s search for originality. What to expect in 2018 Aspen Film Festival? This year’s Aspen Film Festival is going to be bigger than ever as it is the festivals 40th Anniversary. You can expect more films and more talented people than previous years. You can also expect more world premieres at this year’s festival too. The jury for this year will be comprised of high profiled film professionals to help celebrate the festivals 40th year. A huge list of special guests that include some of the film industry’s best and more highly skilled professionals are also expected to attend. As with previous years, there will also be lots of special events as part of the Aspen Film Festival. 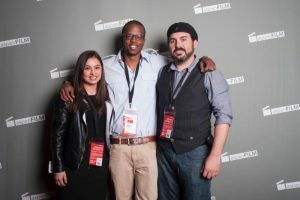 Throughout the duration of the Shortsfest, there will be a number of special events that will include an Opening Reception, Informal late-night get-togethers, Breakfast at the Fest, and the Shortsfest Awards dinner. Another important part of the Aspen Film Festival is their special programming segment. Each year, Aspen Shortsfest provides some special programming selections. They include the famous “Filmmaker to Filmmaker” in-depth discussion between filmmakers that give the audiences a much closer look into the creative world of filmmaking. How to enter your film? Submission into this year’s Shortsfest has already past. However, you can still pursue your dreams of becoming a recognized filmmaker and the chance of Oscar eligibility by submitting your entry into next year’s Aspen Film Festival. Entries from all over the world are eligible provided films are entered into the right category. You can check out the Rules and Regulations on how to submit your films by visiting their official website: www.aspenfilm.org. Please remember to read terms and conditions carefully so that you can avoid any mistakes in submitting your film as this may lead to disqualification. Schedules of submissions and other up-to-date announcements are also available on their site. Their site also features festival archives, information on academy screenings, and loads of other details you may be interested to learn about Aspen Films. The Aspen Film Festival takes place from 3rd April until 8th April 2018 in Aspen, Colorado.